Although there is some excellent quality late sixties/early seventies material on this main 2CD box set, it is the "2000 Live At The BBC Radio Theatre" CD that I bought this for. 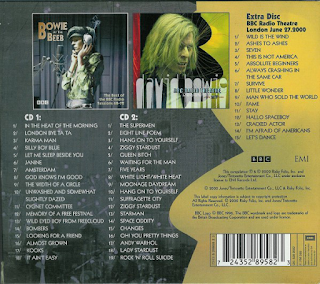 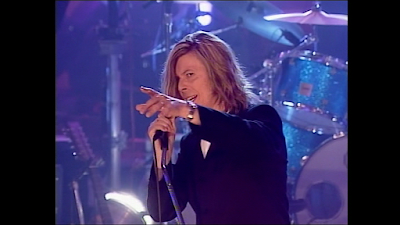 Recorded a short time after Bowie's historic Glastonbury appearance (now thankfully available, at last) the sound quality is truly excellent and although the set list is shorter at fifteen songs, it contains not just '"greatest hits" but includes contemporary album cuts like "Seven" and "Survive", plus a stunning, almost jazzy version of "Always Crashing In The Same Car" and the wonderful "This Is Not America". "Absolute Beginners" is here too, in its barnstorming full version. 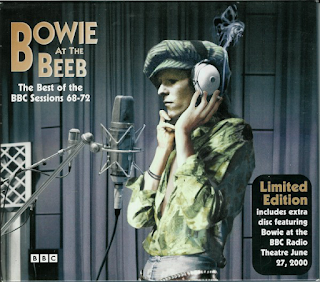 Well worth getting your hands on this 3CD edition if you still can.